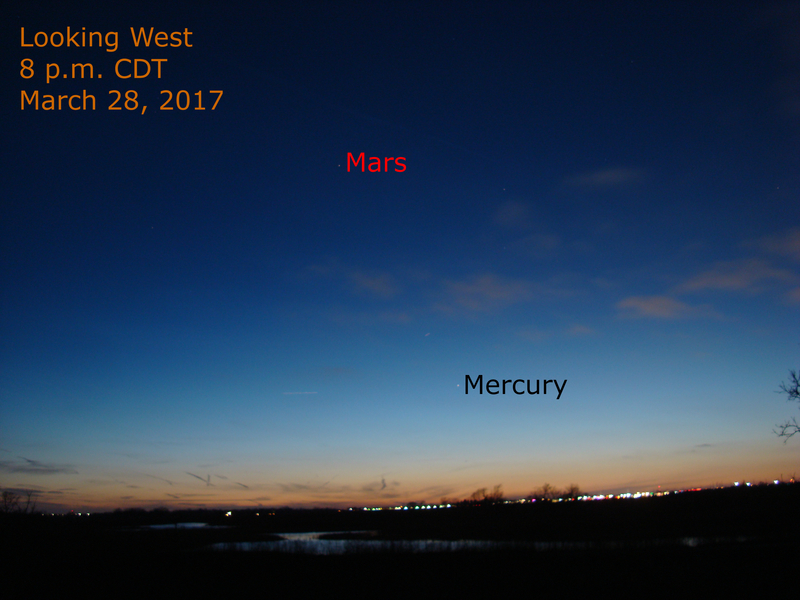 After several days of rainy and cloudy weather in the Chicago area, clear skies prevail this evening as Mercury begins its best evening display of the year. At about 45 minutes after sunset Mercury stands less than 10 degrees above the horizon, so a clear viewing spot is needed. Mars is nearly 17 degrees to the upper left of Mercury. 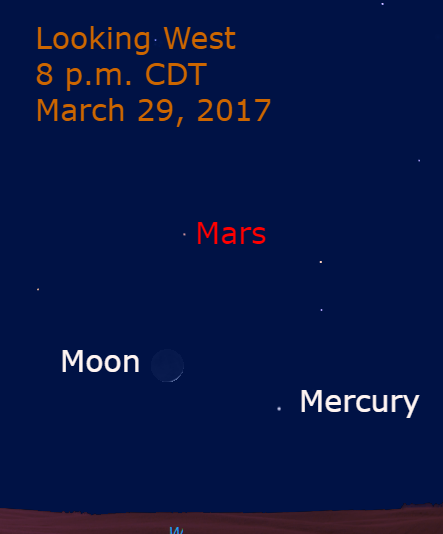 Tomorrow evening (March 29), the crescent moon joins the planetary pair. If you can’t find Mercury, the moon is a guide with binoculars: Mercury is about 9 degrees to the lower right of the moon. In typical 7 x 50 binoculars, Mercury stands just outside the field of view if the moon is placed at the 10 o’clock part of the field. Slowly move the binocular toward the 4 o’clock direction. Mercury will appear in view.